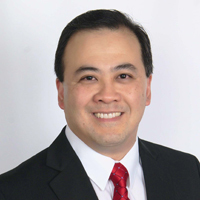 Matthew S. Chan is the CEO of Ascend Beyond Publishing and the author of several business books, manuals, and audio programs. They include “The TurnKey Publisher“ Series, “The TurnKey Investor” Series, and The Intrepid Way. Through his direct “tell it like it is” approach, Matthew teaches entrepreneurs, and high-achievers how to supercharge their business credentials, increase their stature, and leapfrog competitors using the independent publisher platform. Matthew is an advocate of building customer trust through credibility marketing and educational marketing. His publishing expertise includes book publishing, audio publishing, CEO publishing, and accelerated publishing. Marleen Geyen is the author of “University Wealth”, a real estate investing book that teaches real estate buying in the college rental arena. She is also the author of the educational audio program, “Stadium Size Profits in the College Arena”. Marleen buys and rents properties near the university to college students. She has first hand experience and knowledge in the buying, leasing and managing of student rentals. She uses her experience in business to teach and encourage people in the basics of real estate investing, specifically in properties within walking distance of a local university. Having four children, all in or through the college system, has given Marleen firsthand knowledge of leasing to students, and understanding student psychology. Jerry Hoganson (Mr. Mobile Home) is the President of Quest Development. His corporate headquarters is located in Wausau, WI. Jerry specializes in Mobile Home park and Mobile Home note investments. This very exciting and lucrative market drew Jerry into this field surpassing his holding in single-family homes. Quest Development currently controls over four million dollars ($4M) worth of property, which includes 7 mobile home parks, 30+ mobile home notes, and 20+ single-family homes through multiple entities. Jerry is unique in his field of the manufactured housing market. Jerry is a national presenter and shares his passion and knowledge in the little known field of mobile home park investing through his book and MobileWealth audio series. Wes Weaver is a lead contributor of “The TurnKey Investor” series of books and audio programs. Wes is also a co-principal of OwnerFinanceHomes.com, the “#1 Provider of Owner-Financed Homes in Columbus & Phenix City”. Through his property management firm, Wes invests in, co-owns, and co-manages several dozen real estate properties for himself and his investment partners. Today, Wes is a real estate broker that assists others in purchasing property for their own portfolio.